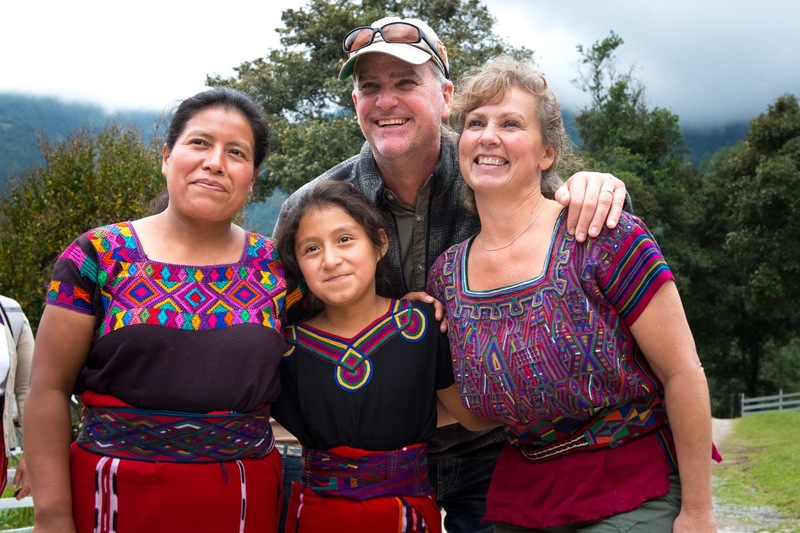 Mark and Cori meeting partnered families in Guatemala. 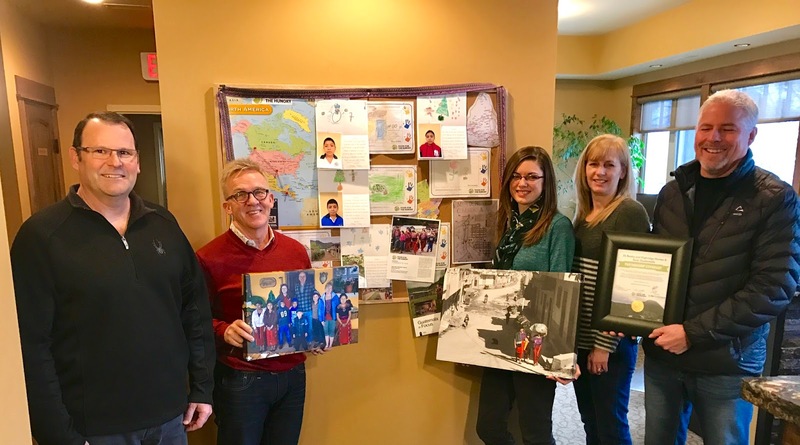 Q: Why did you decide to begin a corporate partnership with FH to walk with Acul, Guatemala? M: My wife and I have always believed giving is an integral part of our obedience to Christ. But, lately, we both sense the Lord challenging us to do more than just write a cheque. Cori and I wanted to be much more involved in the relationship aspect and not just the arm's length financial support. Having wealth like we do in Canada and being successful in business is both a blessing and a responsibility. My wife often reminds me "much will be required from whom much is given, for their responsibility is greater." We've been blessed, not just to have nice things, but so that we can bless others. Ultimately, the reason Cori and I want to "do better" is because that will bring us joy. People who go through life in mediocrity are never happy. Q: What does the partnership mean to you? M: It's a dream come true, really. This has given me new vision and renewed purpose. It's made our work more more about being kingdom builders rather than must money venturers. When we signed the 10-year commitment in front of the leaders of Acul I was overwhelmed by the privilege and the responsibility of coming alongside these wonderful people. Q: In what ways do you see your corporate culture changing as a result of the partnership? M: We've committed a minimum annual amount toward our community for the next 10 years. That's the baseline. On top of that, our real estate agents give a portion of their commission toward sponsoring five kids in Acul. One of our administrators was so touched by Bernie's stories of transformation that she took it on herself to create a storyboard of Acul in the front foyer that everyone sees when they walk through the door. Our other administrator sponsored a child after Bernie's first presentation...she couldn't wait! We're already planning our next corporate trip for spring 2018! 3% Realty staff pose with their partnership storyboard. 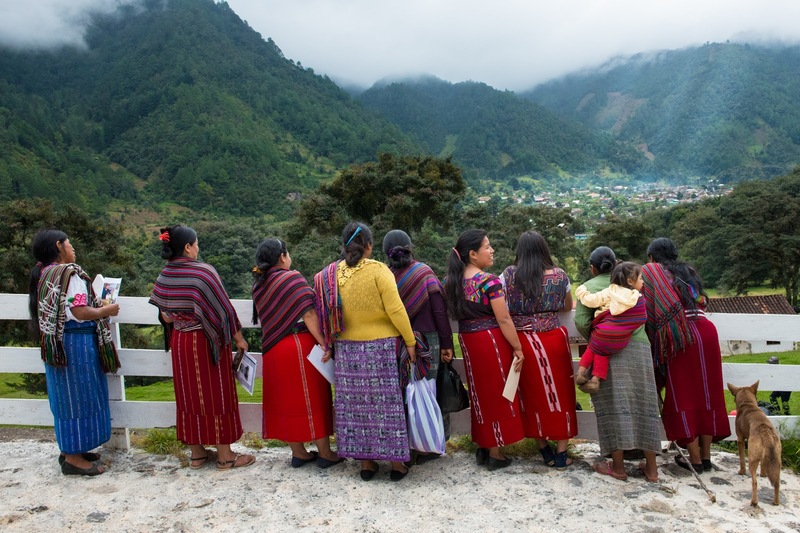 Q: What surprised you about your first trip to Guatemala in November? M: The people! Here they are, without even running water, and they're smiling with such joy! I didn't see a single person begging; no one asked us for anything. These are hardworking, honourable, dignified people saying, "Thank you for being willing to come alongside us, but this is our work." All they need is a bit of outside support. We're not doing this for those "poor people down in Guatemala"; we're doing it because they're amazingly rich in their culture and community. The other thing that struck me was how we're so broken in our community a life here in Canada with our individualistic attitudes. In our affluence, we don't lean on each other or on God for our daily needs. It's our form of profound poverty. Q: What makes you confident that your investment is being put to good use? M: FH is committed to a long-term relationship with these families. It's "kids first", but through the equipping of the entire community. The work being done is really "owned" by the communities and local FH staff. Here's an example of what I mean. On our visit I saw what I thought was an immediate need that we could fix. I told the FH staff member in charge that we would do whatever it takes to fix the problem. But she didn't say thank you, or smile, or give me a big hug and say "You're amazing!." She just looked at me thoughtfully and said, "You'll have to leave that with me." And I thought, "Wow, you're a strong lady." I didn't feel discouraged at all; I felt confident that they had a plan and knew what they were doing. It's not about handouts, it's not about us; it's about what's best for the community. We visited three different FH communities in very distinct stages of development. Our village of Acul is just starting their development journey while others were nearing their 10-year 'graduation', so we caught a glimpse of where Acul is headed, that the future they dream of can become a tangible reality. Significant accomplishments we witnessed in the graduating communities were a new sewage treatment facility; women who started their own savings group and now loan money to each other for business investments; and excited moms weighing their babies, learning about nutrition, and being encouraged to raise healthy kids. Q: Would you recommend other businesses to embrace the corporate partnership model with FH? M: I would enthusiastically encourage others to join in! We love FH because we get to participate. It's an honour to go and have relationship with the people of the community. Through that, we're also being changed by their impact on our attitudes and faith. I would encourage business owners to allow God to stretch and bring you into the adventure he's called us all to be a part of. Rather than just writing a cheque, lean into the relationship aspect of giving - go into other cultures and love them. It's not always going to be comfortable, but it's always going to be worth the effort.